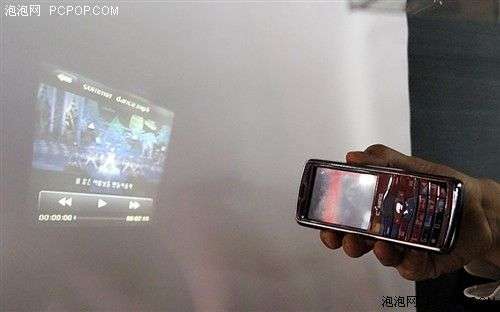 Looks like a Chinese mobile manufacturer called CKING has developed a commercial mobile with a projector built into it. Very interesting to see this becoming a reality as it was only a year ago we were hearing about the small projector devices being developed. Intomobile has further pictures and details on the device.